With high quality web design and functional completeness, intros.gr offers solutions to web development that can effectively cover all your company’s needs. We not only deliver websites with impressive looks but also aim to create an effective online presence that can represent the best image and identity of your business. At intros.gr, we can help you with our unique approach of designing business and customer oriented web resources that makes your website special. Whichever is your expectation, your ideas and dynamic of your company, we can complete and effectively cover every aspect of it with quality internet services, knowledge and security because we simply provide all the existing services, with precedence in our area of expertise. We develop dynamic, cost effective, and easy to use websites for companies around the globe. Check out our web design portfolio and client testimonials to see what they’re saying. We love to help small businesses establish or improve their image and web presence, but whether your company is large or small, we have the time, expertise, and creativity to be an integral part of your web marketing solution. With regards to design, emphasis will be given in the uniform application of the corporate style manual with particular focus on colours and typesets. The design will include layouts with the right prioritization of information focused on the end user. The new website will be fully customized and managed by your company staff. Restructures and reorganizes itself based on the type of device someone is using to view your website (desktop, tablet, mobile phone, etc.). 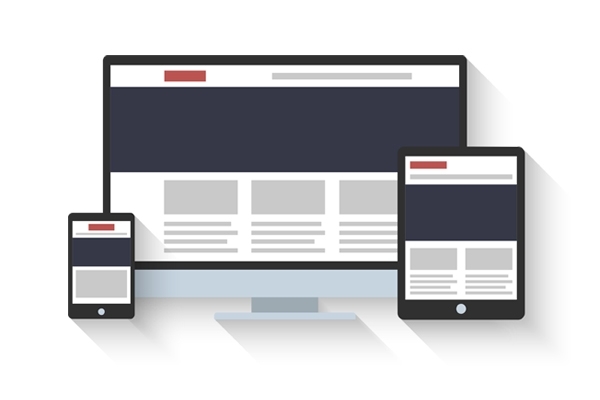 Quite simply, a responsive site adjusts for different-sized screens. For more information visit our responsive web design section. Check intros.gr's Portfolio, in order to see some of the projects that we have carried out, or check our clients testimonials. Do not hesitate to request a quote for the design or redesign and development of your web presence, or to contact us for any questions. You'll receive prompt replies to all your emails and phone calls!